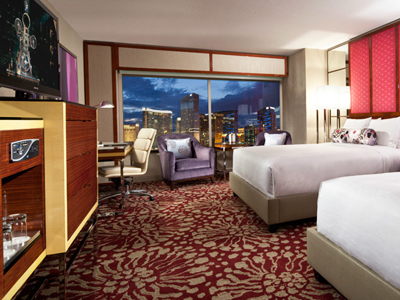 We look forward to having you as our guest at MGM Grand Las Vegas with this AAA Special Offer! Must present your AAA membership card upon check-in to receive the promotional rates. If AAA cannot be verified upon check-in, the rate will be adjusted to the hotel standard rate that day. 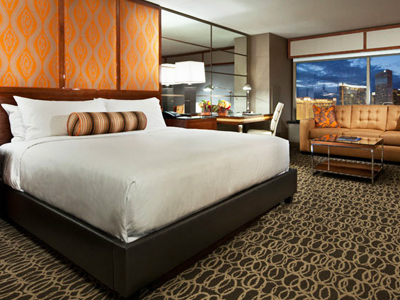 If you're a senior, you can now save 10% off standard rates for rooms at MGM Grand, seven days a week. To qualify for the Senior Rate, you must be 62 years of age or older as of check-in date. Valid government-issued photo identification must be presented at check-in to confirm your eligibility. 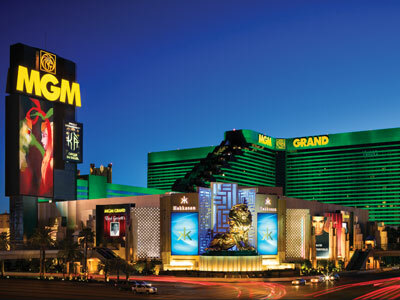 Active Military members can take advantage of this exclusive offer at MGM Grand Las Vegas. Reserve your room today with this offer and save 10% off rates! Must present military ID at check-in or discount will not be valid. Practically a vacation under one roof, the MGM Grand lives up to its name. It offers celebrity-chef restaurants, world-class nightclubs, top-notch entertainment, a spa and a Grand pool complex. A variety of room and suite offerings will suit every need with the exclusive SkyLofts catering to the most sophisticated travelers. The MGM Grand provides a world of entertainment as expected from the second largest hotel in the world! Centrally located and with a monorail stop, this hotel is one of the most convenient to other Strip attractions. The casino is one of the largest you will encounter and is modern and spacious. Accommodations are varied and range from Bungalow rooms to the ultra sophisticated SkyLofts. Visit the Grand Pool Complex and enjoy the lazy river or stop at the Wet Republic where a DJ brings the energy of Las Vegas poolside. Dining options abound with choices of fine dining, specialty restaurants and more casual fare. Celebrate a special occasion at Craftsteak or Joel Robuchon. Specialty restaurants include Emeril’s, Wolfgang Puck and Hakkasan. Nightlife also starts at Hakkasan. 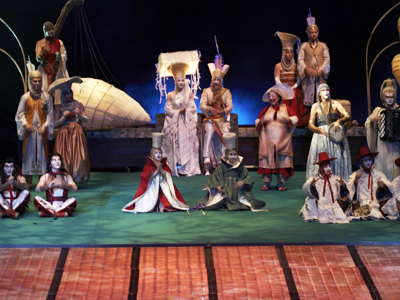 Entertainment can be found at the Cirque du Soleil show KA, or see the big name performers at the Grand Garden arena; a smaller venue with equally big performances is the Hollywood Theatre. Plan a vacation on a “Grand” scale when you visit the MGM Grand. Spa/Salon: The Grand Spa is a zen-like hideaway with rock walls, wood accents and Asian inspired services. Work out in the adjacent fitness center, cool off in the relaxation lounge with complimentary snacks and beverages, then immerse yourself in the exclusive “Dreaming Ritual” or the “Elemental Massage” services offered at the Spa. Continue your pampering at the Christophe Salon with hair, makeup and other beauty services. Pool: Two large pool complexes. 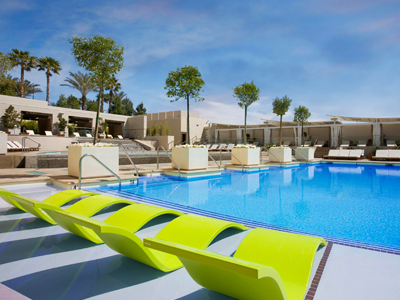 The Wet Republic ultra pool complex features two saltwater pools, 8 individual pools, spa tubs, cabanas and daybeds. The Grand Pool complex features five pools, 3 spa tubs, a lazy river, fountains, waterfalls and bridges. Five bars are open seasonally to cater to the pool patrons. Shopping: The District is a shopping/dining mall resembling a Hollywood sound stage. Shops include: CBS Television City, Watch Boutique, Misura Men’s Shop, Optica and Lifestyles. The Underground Shops include the following shops: Haagan Dazs, Grand Candy, Pearl Factory, Harley Davidson, Star Magnets, Houdini’s Magic Shop, a food court, Nathan’s and Fat Tuesday. 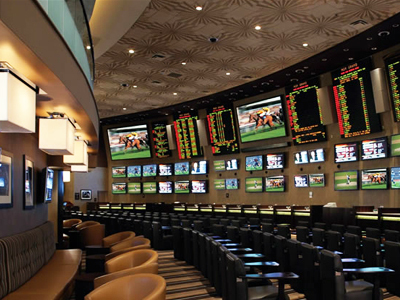 Other stores in the hotel include Front Page News Stand, Davidoff, Marshall Grand Spirits and MGM Grand & Co.
Let Viacom hear your opinion through CBS Television City at the MGM Grand Hotel and Casino. You get to preview a new show being considered by the network and give your opinion on what you liked or disliked. Your favorite CBS show comes to life at the CSI Experience in the MGM Grand Hotel and Casino. You will examine crime scene evidence and be guided along by actual forensic scientists to solve the crime. Get your diploma as a Crime Scene Investigator in this fun experience. Virtual Reality Gaming powered by Zero Latency is the completely immersive, interactive digital universe for up to eight players. Housed in a 2000 sq ft arena, you can navigate considerable distances while immersed in this virtual world. Enjoy the witty, sarcastic humor of funny man Brad Garrett, famous for “Everybody Loves Raymond,” at this newest comedy club. On nights when Brad is not performing, there is a lineup of young comedians and headliners to make you roar with laughter. David Copperfield, magician extraordinaire, will leave you bewildered and asking “How DOES he do that?” many times throughout the performance. You may have seen him on TV making the Statue of Liberty disappear and now you can experience his larger-than-life illusions up close in Las Vegas. The cutting-edge dance crew Jabbawockeez mixes elements of theatre with hip-hop dancing to create a performance that showcases their raw talent while donning all-black outfits and white masks. One of a handful of Cirque Du Soleil performances currently showcased on the Las Vegas Strip, KA features a stunning theater that puts audiences in the midst of the action with coinciding elements surrounding them from every angle and a mind-blowing stage that rotates in almost every direction. Hakkasan nightclub is a five-story mecca of dancing, DJ’s, dining and drinks. Each level offers a different musical and dance experience all its own. Whatever your mood you will find the right mix at Hakkasan. Wet Republic at the MGM Grand is a pool party made for the big party experience. Eight pools, including two salt water pools and many outdoor bars get the party started and keep it going throughout the day. This full service café offers breakfast and lunch with breakfast available all day. Portions are large, the restaurant is large, and the menu is large, so stop in for a big time meal! The Cabana Grill offers a lovely spot to have a wonderful lunch overlooking the dramatic pools at the MGM Grand Hotel and Casino. This is a gorgeous place to sit back, relax and enjoy the beautiful day or do a little people watching. The menu is perfect for pool side dining featuring salads, burgers, hot dogs and sushi. MGM Grand Hotel and Casino is known for grand things and one of them is their grand steakhouse, Tom Colicchio's Craftsteak. The steaks are prime aged beef done to perfection. The menu also boasts mouthwatering veal, salmon, and lobster dishes. The vegetables are the finest and freshest coming straight from the farmers market. Emeril Lagasse brings his “BAM” to the MGM Grand Hotel and Casino with his signature Emeril’s New Orleans Fish House restaurant. There is a modern stylish atmosphere with a huge circular bar, plush booths, and a large curving banquette. The menu is full of authentic New Orleans style Cajun Creole cuisine with the emphasis on the finest and freshest seafood. The best place for frozen drinks in all of Las Vegas! Prices are great, quantities are huge and extra shots are only a buck! Try one of 2 dozen flavors, which rotate on a daily basis. Save your drink glass, half yard or yard and get cheaper refills at any location! The Fiamma Trattoria in the MGM Grand Hotel and Casino serves fine modern Italian cuisine. The pastas are made fresh daily and offer creative and innovative selections. Try their signature short rib ravioli or the incredible Maine lobster gnocchi. Hakkasan Restaurant is part of the five-story nightclub experience inside the MGM Grand. Dramatic design elements, modern Cantonese cuisine, superior mixology and wine service all collaborate to bring you the utmost in high level dining. The name says it all, the acclaimed Chef Joel Robuchon is the multi award winning chef and his signature restaurant is in the MGM Grand Hotel and Casino. The restaurant is modern and elegantly appointed with lush hews of purple lending a royal mood to the décor. The restaurant offers an intimate dining experience with impeccable service making you feel like royalty. L’Atelier de Joel Robuchon at the MGM Grand is a French restaurant offering a small plates menu created by “the chef of the century” Joel Robuchon. Sit at the bar and watch the chefs prepare your meal in the open kitchen. This is a visual experience where you will see all of the beautiful fresh ingredients and the skillful work of the accomplished chefs. The MGM Grand Buffet is nothing short of grand. This is a very attractive well appointed buffet and surroundings. The number and quality of selections is amazing. Everyone loves their own pizza, their own way. At Pieology, choose from nine standard pizza pies or build your own using the freshest ingredients. The MGM Grand Hotel and Casino offers true California dining at the famed Wolfgang Puck’s Bar and Grill. This is bar and grill food with the modern twist that Wolfgang Puck is known to create. This is casual fine dining at its best and is open for lunch, dinner and late night dining. We started in the West Wing which is disgusting! Old and dirty. Our room had burn marks in the carpet and dirt. There was also a Bobbie pin left on the floor so it obviously wasn’t cleaned. The bathroom faucet was loose and could be pulled in and out of the wall. The lights also didn’t work. We were moved to a Grand King which is much better. The whole hotel however smelled of strong smoke! Unless you are a high roller the staff isn’t the friendliest. The hotel was huge! We all had a great time. There’s about 10 different pools which was super awesome. There were a variety of places to eat and the views were stunning! This was one of my favorite places I’ve stayed in Vegas. I recommend this one. I had a real nice breakfast here and it was relatively cheap by Las Vegas standards. I saw below you can get gelato for breakfast and I didn’t see a tall bald headed guy so I walked over to the dessert area and talked to a chef named Daniel. He said he would take care of it because they didn’t have any out and he did I had one scoop of six different flavors of gelato as part of my breakfast. So if you want gelato ask for Daniel. You are welcome. This hotel was HUGE! I stayed here with some friends last week, and we had a blast! I loved how ginormous the pool was, and the nightclub, Hakkasan, well, lets just say… I got lost in there too. The DJ that night was so good, and the atmosphere was hip and happening. I loved the proximity to everything else on the strip. A+ to the staff for being so nice and welcoming. Overall, the best experience I ever had in Vegas! We loved the MGM grand! We have stayed at the MGM for 3 years in a row for the NFR. I enjoy how they host events for the NFR guests within the hotel including driving the Dodge trucks to gain gift certificates to use while shopping at NRS. Stayed here in October. Disappointed we didn’t go to the pool. The new rooms are really nice and the beds were sooo comfortable. Only issue we had was it took 10 or more minutes for hot water some times. There was lots of construction so I can’t wait to go back! Highly recommend the MGM. I love the location. The rooms were smaller then expected and toilet/shower didn’t have much of a separation from the bedroom. Smell of smoke was also rampant, so I was congested most the time. Stayed here twice over the past few years. The hotel is huge! Only downside is that you are toward she south end of the strip, but taxis are everywhere and the tram to the north end of the strip is relatively cheap. I stayed in the Petite King in MGM Grand. I was happy with the renovations. The room sparkled & was very clean! My favorite was the pillow topped king size bed. It was so very comfortable! I thought that the room was really just average though. There was nothing really wrong with it, but it wasn’t over the top either! Not a bad choice! Spent 4 nights at the MGM, stayed in one of their newer petite king rooms. We found the room a little too petite. Mid level hotel for a mid level price. Stayed for a week in their basic king. The shower leaked onto the floor that was the biggest problem. I recently stayed here for the 6th time, A all the way. I love the location the lay out the way it smells. Everything if your a m-life member the cost of your stay is Minuscule compared to the value you receive. Love this place. This was my second time staying at the MGM. We stayed in the petite king room. It was a small room but the perfect size for two people. The hotel staff were friendly and always greeted us in the morning. I enjoyed the variety of restaurants in the hotel. It was also nice to have easy access to the monorail since we used that as a form of transportation often. The only downside is, while the hotel is big, it can be hard to navigate. Some of the signs inside are not clear and we did end up lost inside a couple of times during the first few days! We found the hotel to be a very nice establishment. Super friendly staff and clean rooms. Our only problem was the size of the hotel itself. It took FOREVER to get from our room to the strip, or from our room to anywhere really. We’re planning our next trip for vegas and looking at smaller hotels. First time visit. Very happy with everything. Staff nice and helpful. Easy to get around town thanks to the monorail awesome time. My husband and I stayed in the executive king suite for our honeymoon. Nice room. Staff was super nice. We did have a nice view of New York, New York. The only thing was it was super crowded, to the point where we had to wait in lines just to get into the elevator to get to our room no matter what time of day it was. And we went Sunday to Thursday. Not to mention all the restaurants are pretty pricey. And also there is a helicopter tour of Vegas that passes by the MGM that can be noisy because it does fly in close. Also MGM ia not in the middle of the strip it can be a walk to other casinos i.e. Mirage, Paris etc. So all in all I might pick a different hotel to stay at next time we visit Vegas. my opinion, best hotel in Vegas! This will be our 4th year staying at MGM and we love it. The pools are great (especially the lazy river) and the rooms are nice. The food court is great for breakfast or a snack. Having the lions right down stairs was also a plus! First time travellers to Las Vegas and were very happy with our stay at this hotel. We book the ‘West Wing’ section of the hotel (most recently built rooms). Very clean and comfortable, beautifully furnished rooms. Although there were multiple restaurants within the hotel we found most of them overpriced but I guess that’s just part of staying in Las Vegas! Although not situated in the heart of ‘The Strip’ it seemed to be a classier more contemporary option compared to some of the other hotels that we visited. Had a great time on our trip! Our room was a suite, and it was definitely worth the extra money. Lots of choices to eat. We had lunch at Emerils. It was not crowded, and the food was excellent. Craft Steaks was a must try and we were very happy with our meals. The buffet was better than we expected and we were able to walk right in. The pools were great, and the slush drinks were always available! There were lots of bars inside the casino too. The casino was huge, and lady luck was on our side! We liked the location, and when we didn’t want to walk anymore, a taxi was always ready and waiting on us. Great trip, cant’ wait to return! As a first time visitor, this hotel did not have the wow factor I was expecting. We were able to check in with no problems and our room was ready at 10am. Our first room was right near the building where the Country Music Awards were held the night before. All day long we heard trucks backing up and things being loaded. We asked to move and were put in a much quieter area. The room itself was awesome. Huge shower, jacuzzi tub. As for location of this hotel it was quite a walking distance to see the fountains and other big attractions. The lions at MGM were not out half the time we were there for cleaning purposes etc. The pool was soo crowded with young kids screaming and splashing. There were more kids at the pool than adults. The casino has some type of scented air piped in and it is a bit overwhelming. There is a lot of walking involved to get to the pools or food court. For the price I would recommend, but not for the overall wow factor. I have stayed at the MGM Grand, but never in the summertime until this recent trip. This time was awesome. I can say that this was one of my best trips yet, mostly because MGM Grand Rocks!. We saved the company over $200 using a promo code we got from lasventions.com. Then when we got their, we got a free upgrade to an awesome suite, because my colleague gambles frequently. We were highly accommodated with our business needs. Most of all I Lovvvveed! the pool. The lazy river was fantastic and provided a great mechanism to socialize with multiple groups of people. I can’t wait to go back.